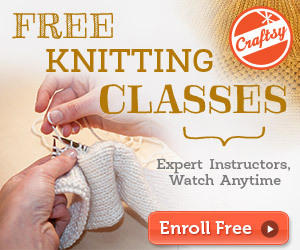 Creating Laura is a lifestyle blog that focuses on all things DIY with an emphasis on knitting. 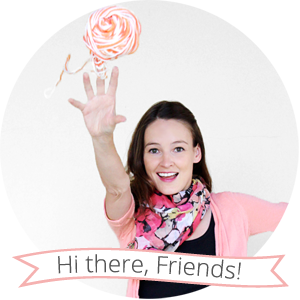 I would love to help you advertise your creative business, blog, or etsy shop on my blog! All ads will appear in the "Sponsors" section in the lefthand column of the blog. Ad holders will also have the opportunity to participate in giveaways on Creating Laura if they would like to. (The items to be given away will need to align with my interests and those of my readers.) I'm also a fan of swapping ads with other great blogs. Want to advertise but don't have an ad? I'll help you make one. Sound good? Email me at creatinglaurablog(at)gmail(dot)com for a full list of blog statistics and advertising prices. Disclosure: Creating Laura is a for-profit blog in the classiest way possible. (Craft supplies are expensive!) I'm a member of the Craftsy affiliate program, which means that if you click on a link on my blog that leads you to Craftsy and you make a purchase, I'll receive a small commission for your purchase. I will only link to items that I genuinely like, and all opinions on this blog will always be my own. I promise.